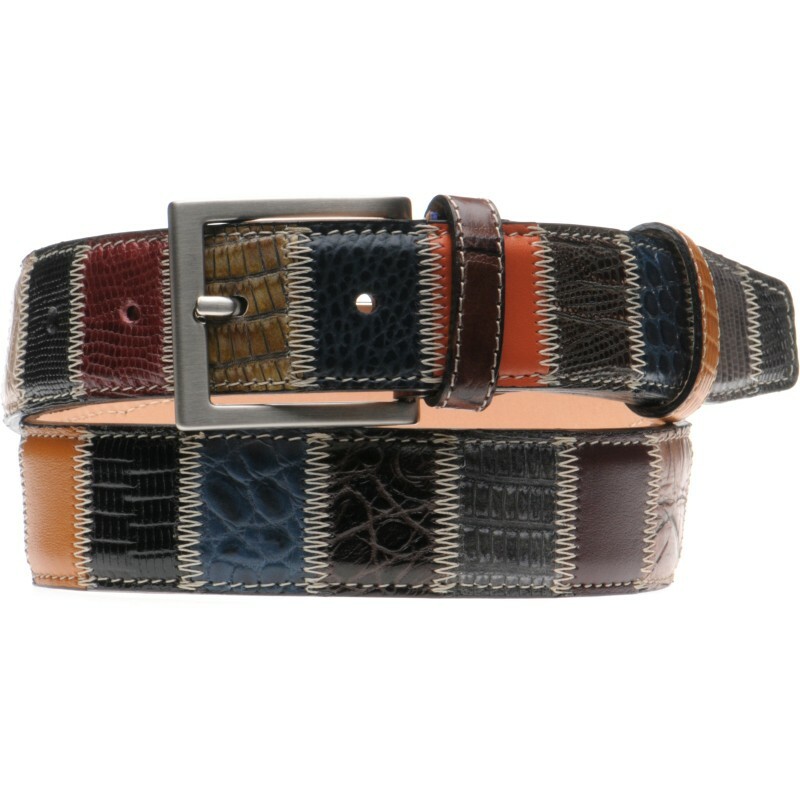 Herring Charles belt is handmade in Italy for us using fine quality leathers that are sewn together in random sequences making every belt unique. 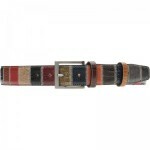 The 35mm width is perfect for more formal outfits, or you can choose the 40mm for a more casual look. 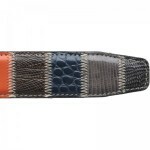 Please note that because of the manufacturing process the belt above is a guide to colour only and the belt you receive will not be exactly the same combination of colours. 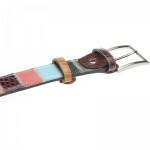 IMPORTANT - We recommend that you measure the distance from the tip of the buckle to the hole you currently use on a well fitting belt and order that size. 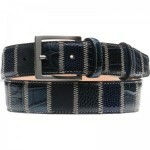 Do not worry if the belt you receive is marked with a different size to the size you ordered. 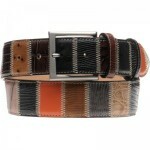 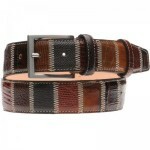 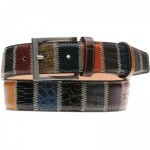 We measure every belt and will choose the size that is the closest match to your order, regardless of the marked size. 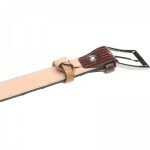 Our belts will measure your size from the tip of the buckle to the middle of the punched holes.